The 2014 report from the Alzheimer’s Association shows that there are more than 5 million people living with Alzheimer’s in America, which is expected to cost hundreds of billions of dollars in caregiving this year. But treatment of diseases like Alzheimer’s and Parkinson’s often hits a wall—literally and figuratively. 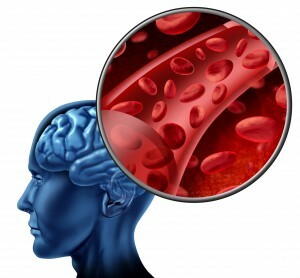 This wall is known as the blood-brain barrier (BBB)—a selectively permeable barrier that prevents potentially harmful chemicals in the bloodstream from entering the brain. This defense mechanism presents a challenge because the same selective permeable barrier meant to protect the brain is also a deterrent for drug molecules to reach the brain to treat disease. Right now, medicine uses the brute force method of administering medicine directly to the brain by opening up the patient’s head, but this is not a sustainable way of treating disease. Professor Shikha Nangia in the College of Engineering and Computer Science’s Department of Biomedical and Chemical Engineering was recently awarded $500,000 from the National Science Foundation’s (NSF) Faculty Early Career Development (CAREER) program for her proposal, “Enabling transport across the blood-brain barrier by engineering thermodynamically favorable pathways.” Her research seeks to identify ways to open up the BBB temporarily to allow disease-fighting medicines to be able to reach the brain in non-invasive ways. The overarching goal of the proposed research is to apply theoretical and computational techniques to engineer thermodynamically favorable pathways to enable transport of desired chemicals across the BBB. Specialized physical barriers called tight junctions, formed by the endothelial cells lining the brain, act as intercellular gatekeepers in regulating passive diffusion molecules and ions into the brain. Essentially, Nangia’s goal is to better understand how the BBB works, what chemicals can move through the BBB, and then how to design a material that can move through the BBB. Her research will employ a rigorous fundamental theoretical approach to understand the thermodynamic underpinnings of the transport barrier and will use an extensive computational tool-kit to engineer favorable pathways to transcend the BBB. Nangia’s research will also support her to work with three local schools, East Syracuse-Minoa, City of Syracuse and the Syracuse Academy of Science, to train teachers on software that they can bring back to their classrooms to teach students.